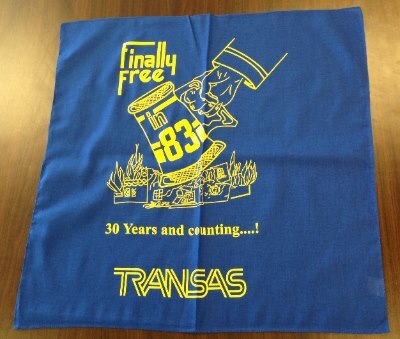 This bandana will be among items classmate will receive upon check-in, courtesy of George Toma & Transas USA, Inc.
We’ll ask everyone to wear them throughout the day and especially during the football game march-on to identify our class (instead of a t-shirt or silly hat). You may wear it in any manner that you wish, on head, neck, arm, etc. 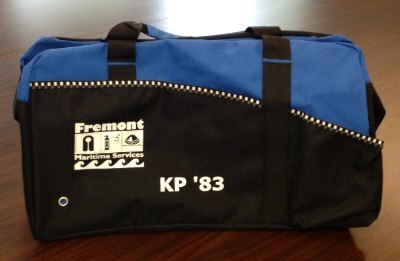 This tote bag will be among items classmate will receive upon check-in, courtesy of Jon Kjaerulff & Fremont Maritime Services. Use it to conveniently carry other items as you wish! 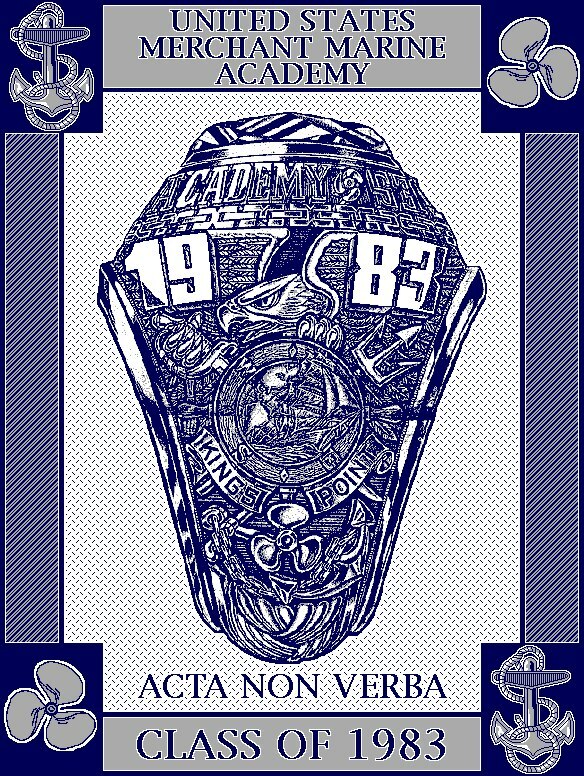 You may now order your “1983 Class Blanket” pictured at right. Anyone can pre-order directly from Marilyn Livi ’82 and she will keep all the accounts, just as she has for the other years she is handling. Please note that she will be on campus at the Lerner House taking orders on Homecoming Day also. The KP “Blue and Grey” BlanketsTM are 100% cotton, measure a very large 48″ x 70″ and are made in the USA. 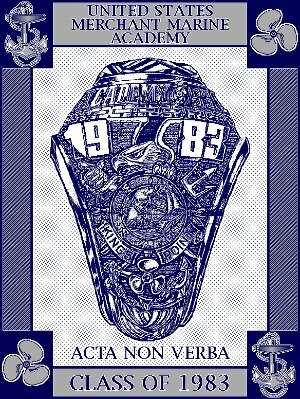 Blankets are machine wash and dry and depict your unique class ring crest design woven into the throw. 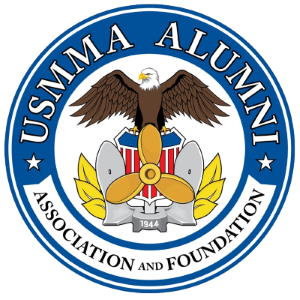 All proceeds support the USMMAAF and the Regiment of Midshipmen. Blanket price is $70 each and includes USPS Priority Mail delivery to the continental USA. See ORDER FORM for more info.